Security clearance experts said the issues raised in Kushner's background investigation were significant. WASHINGTON – The senior White House official whose security clearance was denied last year because of concerns about foreign influence, private business interests and personal conduct is presidential son-in-law Jared Kushner, according to people familiar with documents and testimony provided to the House Oversight Committee. Kushner was identified only as “Senior White House Official 1” in committee documents released this week describing the testimony of Tricia Newbold, a whistleblower in the White House’s personnel security office who said she and another career employee determined that Kushner had too many “significant disqualifying factors” to receive a clearance. Their decision was overruled by Carl Kline, the political appointee who then headed the office, according to Newbold’s interview with committee staff. Last year, President Donald Trump directed his then-chief of staff, John Kelly, to give Kushner a top-secret security clearance, despite concerns expressed by career intelligence officers. Security clearance experts said the issues raised in Kushner’s background investigation were significant. “It’s a big deal,” said David Kris, a senior Justice Department official during the administrations of presidents George W. Bush and Barack Obama and a founder of the consulting firm Culper Partners. White House officials declined to comment Wednesday. An attorney for Kushner referred questions to the White House. In an interview Monday with Fox News host Laura Ingraham, Kushner said he could not comment on the White House security clearance process, but dismissed the idea that he posed a risk to national security. “But I can say over the last two years that I’ve been here, I’ve been accused of all different types of things, and all of those things have turned out to be false,” he said. 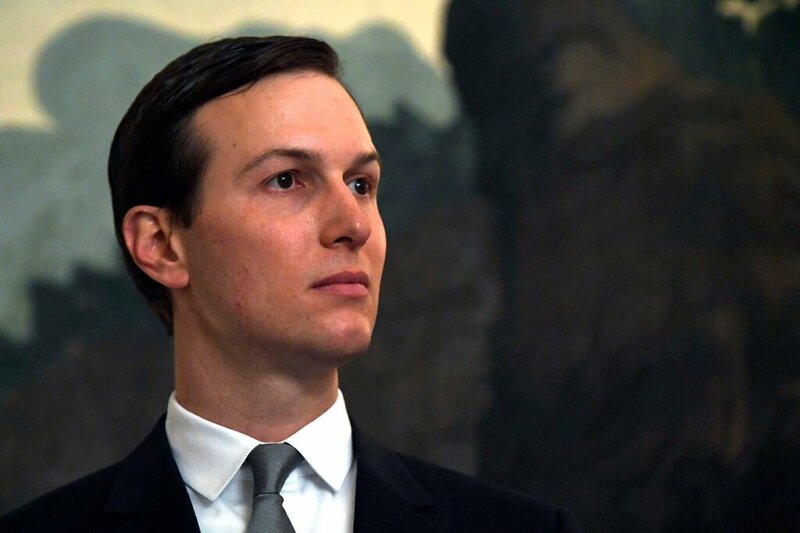 Kushner, who is a senior adviser to Trump and married to his daughter Ivanka, was unable to obtain a permanent security clearance for more than a year as his background investigation dragged on – a situation that troubled senior White House officials. Kushner also came to his post with complex business holdings and a family company facing significant debt, including more than $1 billion owed on a Manhattan office tower at 666 Fifth Ave. In 2016, at the same time Kushner was helping to run Trump’s presidential campaign, he and company officials spoke with potential foreign investors about becoming partners in the building, including investors in China and Qatar. Those deals never materialized. In August, Brookfield Asset Management, a Canadian company, announced it was purchasing the office tower. A person familiar with Kushner’s security clearance, who spoke on the condition of anonymity to describe internal matters, noted that Kushner was interviewed by both the special counsel and congressional lawmakers investigating Russia’s interference in the 2016 campaign. “Not one allegation has been proven, and no one has in any way been able to show any foreign influence or improper business investments,” the person said. While Kushner’s security clearance was pending, he held an interim top-secret clearance that at one point also gave him access to some of the government’s most sensitive materials, including the president’s daily intelligence brief, The Post has reported. Last February, his clearance was downgraded to secret as part of an effort by Kelly to rein in the number of White House officials without permanent clearances who had access to highly classified material. Trump then personally directed Kelly to give Kushner a top-secret clearance – a move that made Kelly so uncomfortable that he documented the request in writing, according to people familiar with the situation. As president, Trump has the authority to grant such clearances. But congressional Democrats have raised questions about the risks that could be overlooked by such a decision. “It shows a disregard for the national security of the country if the professionals in the intelligence committee believed Jared Kushner shouldn’t get a security clearance, and the president overrode that decision to give him one,” said House Intelligence Committee member Joaquin Castro, D-Texas. Kushner’s permanent top-secret clearance was granted May 1, according to internal White House personnel logs obtained by The Post. The notation was made by someone with the initials “CLK,” the same as Newbold’s then-boss, Kline. On the same day, Ivanka Trump also obtained her clearance, the logs show. Newbold told the House Oversight Committee that Kline had overruled her denial of Kushner’s clearance. She said he did so without addressing the disqualifying factors raised by the staff and merely noting that “the activities occurred prior to Federal service,” according to a committee document. An attorney for Kline declined to comment. In a memo Monday, Republican staff to the House Oversight Committee said that Newbold did not have “direct knowledge” about why Kline overruled her recommendation to deny a clearance to “Official 1.” They also described Newbold as a disgruntled employee. The agency was not identified in committee documents. The CIA is the agency responsible for granting White House officials access to government information classified above top secret. In all, Newbold alleged that 25 individuals were given clearances or access to national security information since 2018 despite concerns about ties to foreign influence, conflicts of interests, questionable or criminal conduct, financial problems or drug abuse. Newbold, who worked on security clearance matters in the White House for 18 years under Republican and Democratic administrations, said she reluctantly came forward as a whistleblower over concern for national security. “I would not be doing a service to myself, my country, or my children if I sat back knowing that the issues that we have could impact national security,” she told the committee, according to its summary of her interview. Newbold said that she faced retaliation internally after she raised concerns about the clearance process. At one point, she has alleged, Kline moved clearance-related files to a shelf beyond the reach of Newbold, who has a rare form of dwarfism. The House Oversight Committee’s Democratic majority voted this week to issue a subpoena to Kline to testify about his role in approving the security clearances. The panel’s vote was one of the first moves in the Democratic-controlled House to compel the White House to provide information about the Trump inner circle. The White House has said that the Oversight Committee has no authority to question the president on security-clearance matters and has refused to provide the committee with documents. Republicans on the panel have attacked Cummings’s inquiry, saying that he has politicized the discussion of the clearance issue and that he “cherry-picked” excerpts of the closed-door interview with Newbold. They complained that GOP members were unable to attend because they were told about it only the previous afternoon. Newbold’s lawyer, Edward Passman, said Republican staffers were present for the hearing and aggressively questioned Newbold. The Washington Post’s Rosalind S. Helderman contributed to this report.